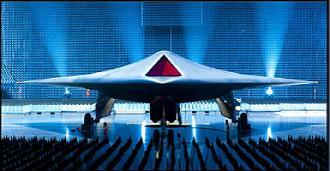 ← Should we focus on autonomous weapons or the human agencies directing them? Officials became concerned about how drone pilots feel when committing attacks from such a distance. Seven years ago, a Ministry of Defence report (Joint Doctrine Publication, right) noted ethical concerns: It added: “It is essential that . . . by removing some of the horror, or at least keeping it at a distance, that we do not risk losing our controlling humanity and make war more likely” – but this report is now officially declared ‘no longer authoritative’. On 17th December ‘Eye in the Sky’ was shown on television. One review said that the film “provides a valuable dramatization of what we’re asking of the public servants who carry out the missions we passively or actively endorse. This is the rare military drama that conveys both the graphic physical effects of war and its lingering psychic cost”. This entry was posted in Airstrikes, Armed drones, Civilian deaths, Drone strikes, Human rights, UK, USA and tagged bomb targets, burnout, Cardiff University, Church of England, drone missions, Drone operators, ethics, post-traumatic stress disorder, trauma. Bookmark the permalink. The Syrian war is not over: there are attacks by Israel & the US-led coalition – ‘a new trajectory’ ?